3. A person is found dead at 5 pm in a room whose temperature is 20 degree Celsius. The temperature of body is measured to be 25 degree Celsius, when found and heat transfer coefficient is estimated to be 8 W/m2 K. Modeling the body as a 30 cm diameter, 1.7 cm long cylinder. Estimate the time of death of person. 4. In thermometer, heat is dissipated from which end? 5. “Fin is insulated at the tip”. What does that mean? 10. Which fin yields the maximum heat flow per unit weight? 12. 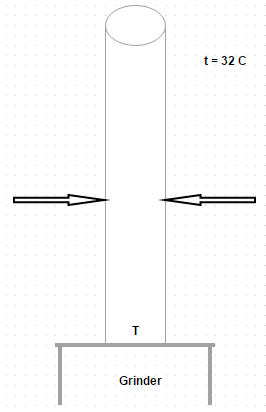 Which of the following is not correct in a transient flow process? 19. What percentage of water an average human body can have?